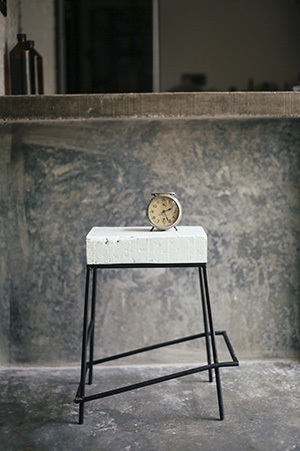 Heartifacts is a new venture by Heartpatrick, grown out of the passion for recycling used material such as railway sleepers and turning them into unique, one-of-a-kind furniture and deco items. 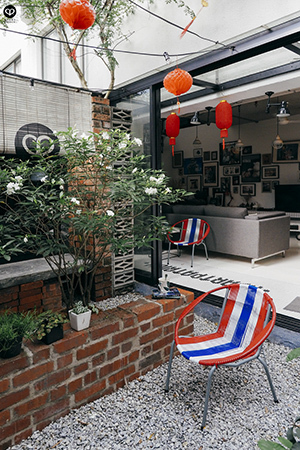 Current services have also been expanded to include interior design and landscaping consulting work. Drop us a line at hello@heartpatrick.com for enquiries. 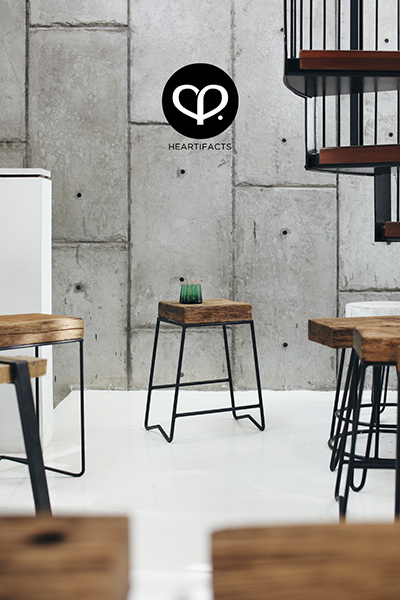 Heartifacts is back with a batch of new collection, made up of a mix of new designs and materials as well as favourites from earlier batches, including the repurposed railway sleepers. Drop us a note or make arrangement to drop by our showroom at Centrio Pantai Hillpark to view the entire collection. Browse the previous collection of Heartifacts furniture and deco items for an idea of what we offer. Drop us an enquiry if you're interested in any of the stuff that you come across here. 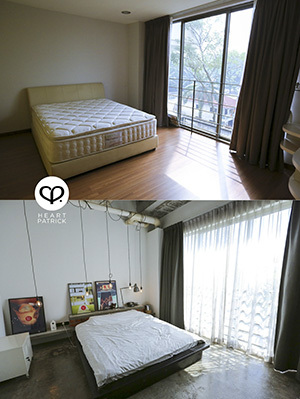 The search for the next playground for Heartpatrick took two years, but the pleasant discovery of this quaint little low-density and low-rise property at Centrio Pantai Hillpark is worth every single day of it. It's been awhile since I last came across a place that excites me this much, and to be actually waking up to a place that I have spent one full year researching for, and three months renovating, surreal is an understatement. 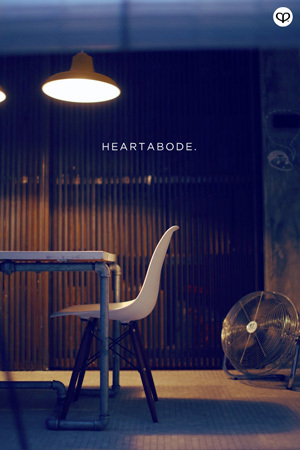 As the dust settles on the renovation work, here's a collection of photos showcasing the transformation of the HeartAbode space from the standard modern look into the vintage industrial space that is now used as the backdrop for many of the recent portrait shoots done here. 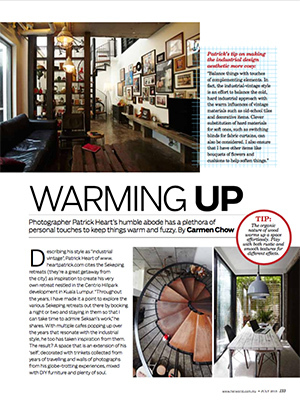 Heartifacts is proud to have appeared for yet another feature, this time by Her World Malaysia in the July 2015 issue. Read about what they have to say here. It did not take very long for the Heartifacts transformation to be picked by the local media. 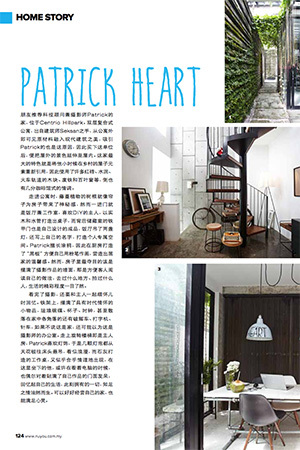 Nu You is the first publication to have the HeartAbode make-over featured in their magazine. 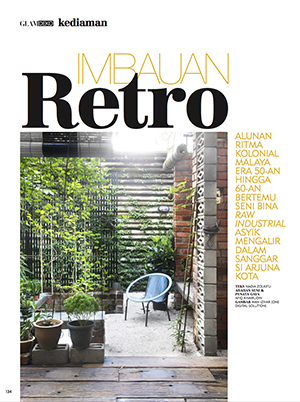 Here's another coverage of HeartAbode's transformation, this time in the Malay home deco magazine Glam Deko.